October 30, 2017 By Jen This post may contain affiliate links. Read our disclosure policy. This Crockpot cabbage soup is hearty, warming, and packed with flavor! Throw everything in the slow cooker, and you’ll come home to a delicious hot bowl of soup. This recipes is from Salt & Lavender. Be sure to scroll down for the direct link. 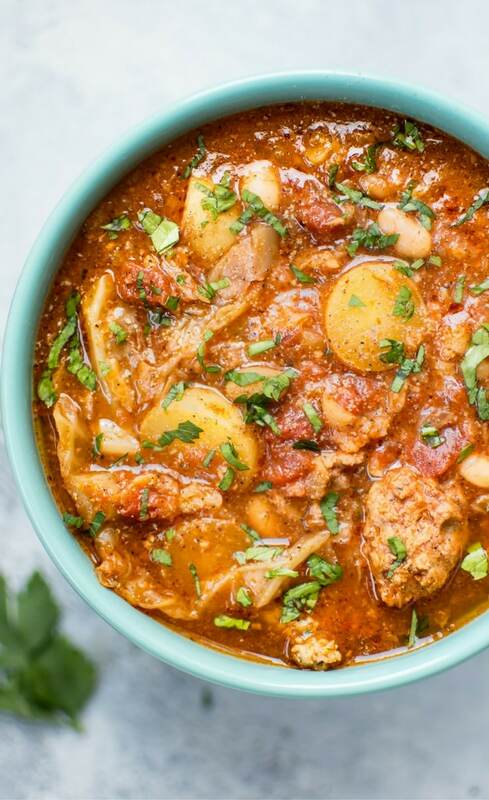 Be sure to click over to Salt & Lavender to read more about this Crockpot Cabbage Soup with Beans, Sausage and Potatoes!